This example will read a .csv file and display it in an array indicator. This example shows how you can use the Read from Spreadsheet VI to pull data from a spreadsheet. In order to directly read Microsoft Excel files we need to use the Report Generation Toolkit (examples in Help»Find Examples), but in Excel you can save a spreadsheet as a Comma Separated Value file (CSV) and you can read that using the Read from Spreadsheet VI. While this example will not necessarily work for all formats of spreadsheets, it demonstrates the usage of the delimiter and should be a good starting point to build an application. How do you get it to read both characters and numbers from all the rows. Each row has columns mixed with both characters and numbers and this just takes the number out to display besides the first row. How to get an fft from csv file ? 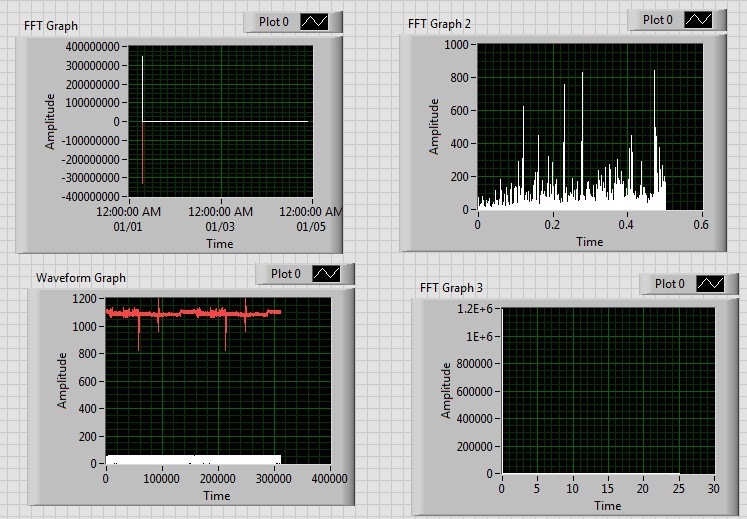 I have vibration sensor data in csv from excel file. The 1st column is time data, the 2nd column is the data itself. This is my email dilaekayati@gmail.com . I've tried many fft function , but none of them show the fft i really want. can you upload your version somewhere? thank you!